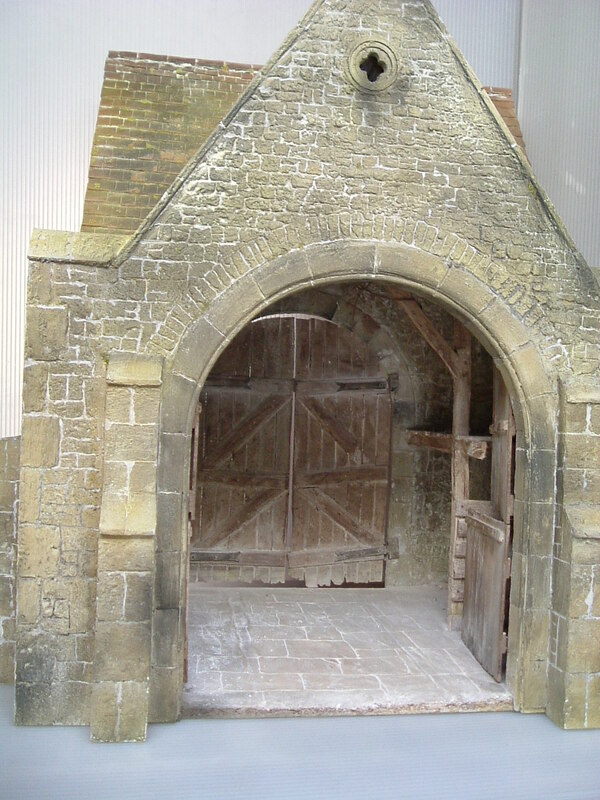 This model depicts part of a typical threshing barn from the 17th century. 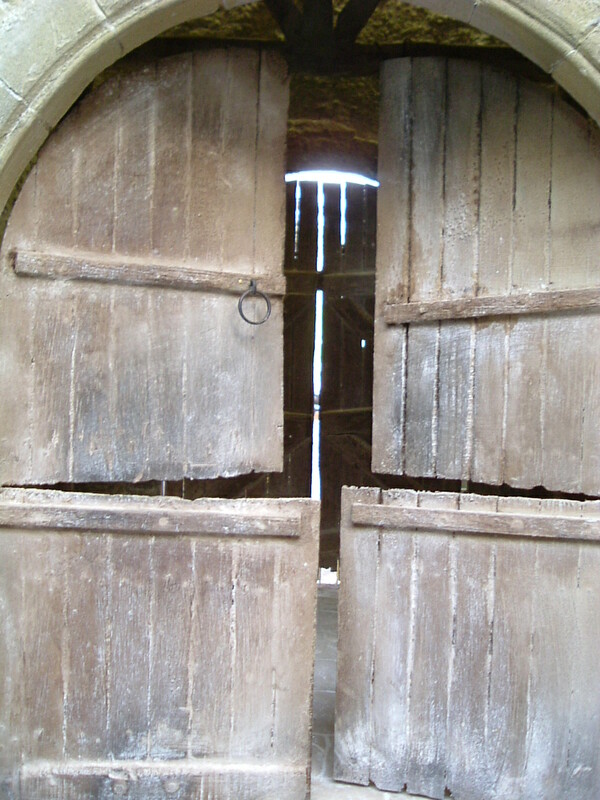 The centre floor area has flagstones on which the sheaves of corn would be placed & beaten with a flail. 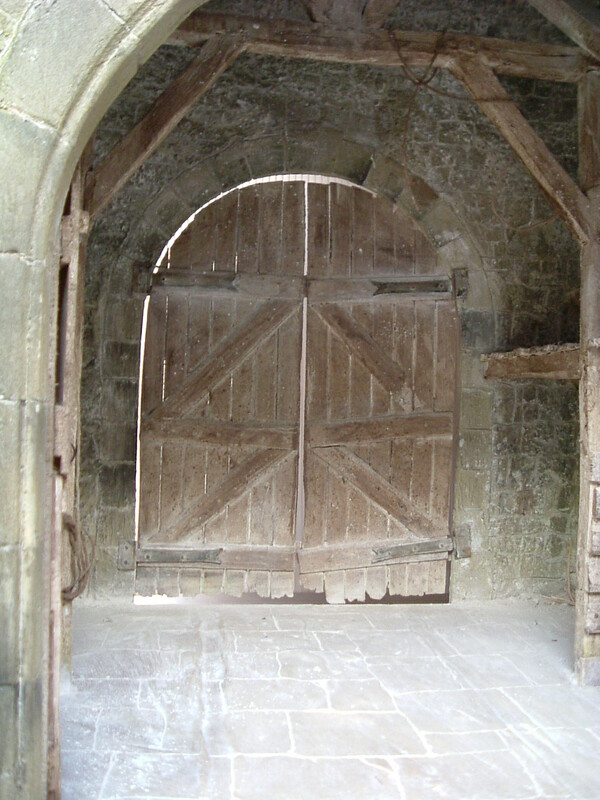 The buildings were designed with a pair of doors opposite each other in order to create a through draught which would help blow the chaff off the floor on a suitably windy day. the remaining grain & chaff would then be placed in a winnowing tray & shaken & tossed to remove the remainder of the unwanted bits of seed head & straw etc.